where a, is the right ascension of the mean Sun*, S2 is the right ascension of the ascending node of the orbit, i is the orbital inclination, AD is the number of days from the vernal equinox to the time i2 is evaluated, the angular quantities in square brackets are in degrees, and T is in hours. 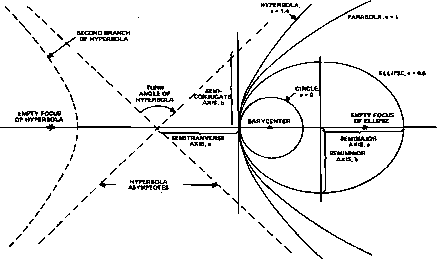 For Sun-synchronous orbits, as - S2 is constant For the orbit to be Sun synchronous, dQ/dt must be positive and i must be greater than 90 deg; that is, it must be a retrograde orbit. Such orbits are particularly convenient for surveying the Earth's surface or looking for changes in surface features because the lighting conditions will be nearly the same each time a region is surveyed; however, the lighting conditions change slowly because of the seasonal north-south motion of the Sun. Table 3-5 lists the critical properties of Sun-synchronous orbits. * See Appendix J lor discussion of time systems and the definition of "mean Sun."